Many people give God a bad rap for things in the Old Testament. Take a closer look. Things aren’t always what they seem. [audio:http://www.truthrevolution.tv/show/TS-0325.mp3]No Flash Support? Use this Audio Player! 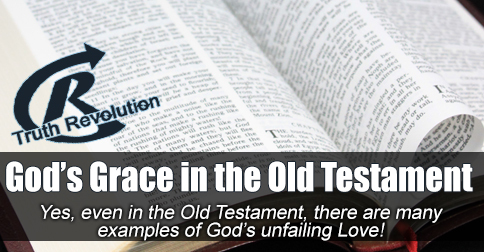 Jeff: Virtually EVERY story in the Old Testament is proof of grace, actually. Dave: The theological phrase is “Salvation History” – a recounting of the many times God had mercy on Israel. Jeff: Step 1: Israel forsakes God and breaks a command, especially worshiping other gods and rejecting the real God. Dave: Step 2: God gives Israel over to nations to harm it, take them captive, or ruin them. Jeff: Step 3: Israel cries out to God, Yahweh, for deliverance from their situation – they ask for mercy! Dave: Step 4: God gives them mercy and delivers Israel from their enemies. Dave: YOU ARE NOT PERFECT, YOU NEED GOD’S MERCY! Jeff: So, mercy in the Old Testament? Absolutely.